SEALED BIDS for Farm/Pasture Lease on TLE lands, located in Todd, Mellette, Tripp and Gregory Counties, South Dakota, will be accepted until 5:00 p.m., Central Standard Time, Friday, December 7, 2018 at the Tribal Land Enterprise (TLE) Office, P.O. Box 159, Rosebud, South Dakota 57570-0159. The SEALED BIDS will be opened by the TLE Board of Directors during a TLE Board of Directors meeting on Tuesday, December 11, 2018 in Rosebud, South Dakota. The annual lease period will begin March 01, 2019 and will end February 28 of the ending bid year. Five (5) years will be the maximum term for each lease. A 100 percent deposit in a Cashier’s Check or Money Order with bidders name is required. All tribal taxes and Lease Fees will have to be paid to RST Revenue Office. TLE Tribal Member rates, the minimum acceptable rates are $20.00 per acre for the farmland, $10.00 per acre for the grazing land, and $15.00 per acre for the hayland, in Todd and Mellette Counties. The minimum acceptable rates are $33.00 per acre for the farmland, $12.00 per acre for the grazing land, and $15.00 per acre for the hayland, in Tripp, Gregory and Lyman County. On the BID SHEET, please enter the per acre rate that you are offering. All leases will be for a term no less than one (1) years and not to exceed five (5) years. Leases over one (1) years will require a bond; Rosebud Sioux Tribal Members have the right to meet the high bid. TLE Non-Members, the minimum acceptable rates are $30.00 per acre for the farmland, $15.00 per acre for the grazing land, and $20.00 per acre for the hayland in Todd County. The minimum acceptable rates are $33.00 per acre for the farmland, $15.00 per acre for the grazing land, and $20.00 per acre for the hayland in Mellette County. The minimum acceptable rates are $60.00 per acre for the farmland, $24.00 per acre for the grazing land, and $32.00 per acre for the hayland in Tripp, Gregory and Lyman County. On the BID SHEET, please enter number of years the per acre rate that you are offering. All leases will be for a term no less than one (1) years and not to exceed five (5) years. Leases over one (1) years will require a bond; Rosebud Sioux Tribal Members have the right to meet the high bid. All allotted tracts will be at the BIA minimum acceptable rental rate. TLE will require a 100 percent deposit in the form of a Cashiers’ Check or Money Order. All Lease Fees will be paid to the BIA and Tribal taxes to the RST Revenue Department. Reminder: an award letter doesn’t condone a Lease Contract so please complete your Lease Contract or if you need help stop in, give us call or put it in writing to TLE. All lease contracts will be issued through the Bureau of Indian Affairs and are subject to regulations in accordance with 25 Code of Federal Regulations (CFR), Part 162, Leasing and Permitting. An Agriculture Resource Management Plan will be required and must be submitted prior to signing a lease contract. Tribal Land Enterprise Lease Department encourages every lessee to sign up for Noninsured Crop Disaster Assistance Program (NAP). The NAP is free to all tribal members with Farm and Pasture leases and Grazing permits. Please Sign-up!!!! The Tribal Land Enterprise Board of Directors reserves the right to refuse any and all bids. No bids will be honored if the successful bidder has any delinquencies to the Rosebud Sioux Tribe, Tribal Land Enterprise, and/or the Bureau of Indian Affairs. All bidders will be notified, in writing, of the outcome of the bid opening. Place the bid sheet and address form in an envelope clearly marked “SEALED BID: FARM PASTURE LEASE ADVERTISEMENT” and submit to Tribal Land Enterprise, P.O. Box 159, Rosebud, South Dakota 57570-0159. “SEALED BID” needs to be marked on the envelope to avoid being opened as mail is received at the TLE Office. 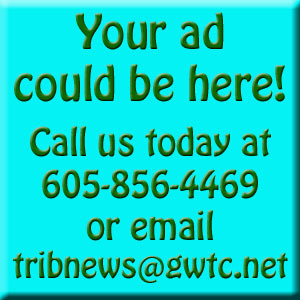 Tribal Land Enterprise will no longer be mailing out the Lease Advertisement. Tribal Land Enterprise is switching to E-mail status and Website status for the Advertisement due the cost of mailing. For legal descriptions and a bid packet, or if you have questions, you may contact the TLE Office in person or call 605-747-2371.